A compelling, provocative novel about a father, his son, and the cost of early excellence in our achievement-obsessed society. 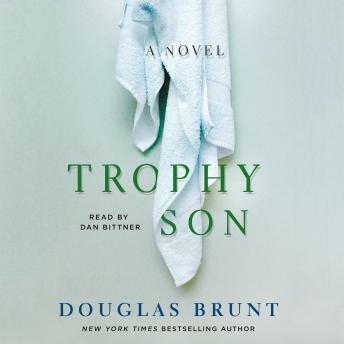 The third audiobook by New York Times bestselling author Douglas Brunt, Trophy Son tells the story of tennis prodigy Anton Stratis, from an isolated childhood of grueling practice under the eye of his obsessed father, to his dramatic rise through the intensely competitive world of professional tennis. Written with an insider knowledge of the tennis circuit, Trophy Son explores a young man striving to find balance in his life, navigating moral compromises, performance-enhancing drugs, and the elusive lure of wealth and celebrity. From Wimbledon and the U.S. Open to the off-court life of elite players, Anton finds exhilarating highs and desolate lows as he searches for an identity apart from his achievements.